JAPAN: Parliament has approved a bill paving the way for development rights in potential offshore wind zones to be auctioned as early as spring 2019, according to the Japanese Wind Power Association (JWPA). It also requires prime minister Shinzo Abe to prepare a basic policy regarding offshore wind, which would then be open to consultation. The draft bill includes no capacity target, however, and it remains unclear whether transmission costs would be borne by the national government or the utility distributing power. Japan’s Diet (parliament) closed in July amid government scandals and deadly floods. The offshore wind bill one of five not to be passed before the end of the session. However, it was reintroduced and eventually passed by both parliament chambers in November. The bill requires the national government’s ministries of economy, trade and industry (METI) and land, infrastructure and transport (MLIT) to work with prefectural governments to identify at least five appropriate lease areas. Developers could bid for use of these zones and would secure development rights based on a proposed feed-in tariff and suitability of their plan. The JWPA believes the first lease area tenders could happen in spring or summer 2019, a spokesman told Windpower Monthly. Jan Matthiesen, director for offshore wind at the Carbon Trust described the bill as a "big step in the right direction". He added: "The next crucial stage will be to develop the next level of detail to clarify the expected power capacity of the zones and the overall ambition and timeframe for the zone allocation. "Providing guidance on how developers should undertake the required site surveys needed to create the development plan and life-cycle cost estimate will also be important, as will the provision for grid connections and clarification of whether costs will be borne by the developer or the grid operators." JWPA has proposed the development of 10GW of offshore wind by 2030, but the government has yet to set a firm target, law firm Baker McKenzie noted. 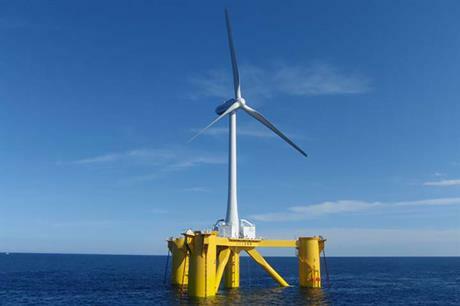 Earlier this year, the METI removed an 820MW limit on offshore wind capacity in Japanese waters.